What does “packed and ready to move” really mean? “Packed and ready to move” refers to the expectation that all items that can fit in a small, medium, or large box will be in a sealed box, labeled, and ready when the crew arrives on move day. For helpful packing and move preparation tips please see our resources section on our website. I originally informed PBP that I intend to be packed and ready to move. What if I don’t get around to as much packing as I expected? We understand that being entirely packed and ready to move with everything in a box may not be realistic for all clients and we can certainly help with some last minute packing on move day itself. This generally includes artwork, toiletries, bedding, coffee maker, hanging clothes, and other items that people are using up until the move or are cumbersome and difficult to pack. All our crews come prepared to pack 15-20 boxes on move day. If you are anticipating a significant amount more packing then please communicate this to one of the PBP office staff, your revised packing needs may require a pack/ prep day before the move to ensure we complete everything in a timely manner. What is the best way for me to get boxes and materials? Can you deliver packing materials to me? Yes, we are always happy to arrange free delivery of materials to your home at your convenience. Our materials prices are competitive with all moving companies. That said, if you have the time and energy to go pick up materials we often advise clients they can save a few dollars by purchasing boxes at Home Depot or Uhaul. 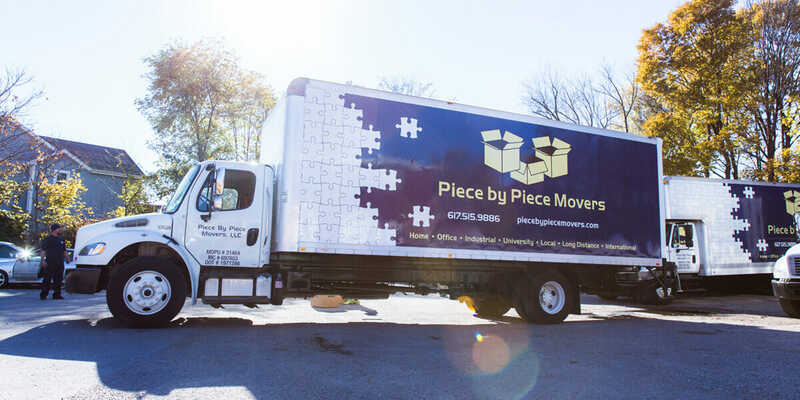 For our “Green Conscious” clients looking for used materials, we may be able to connect you with clients we have recently moved to your area, at which point you can arrange to pick materials up directly from them as they are unpacking. What if some items don’t fit in my new home or I decide they don’t fit the new space? We know well that furniture sometimes doesn’t work quite the same in a new home and are happy to take any items back and store them at one of our climate controlled warehouses until you find a good solution for these pieces. We can also assist with disposing of these items if preferable. We can extend storage or disposal rates based on the volume of items you need help with. In general, cost for this overflow storage will be $30-$70 monthly. Disposal costs range normally from $50-$200. When does the clock start on billable time? All moving companies in MA are required to pay employees from portal to portal. Meaning the bill begins once the crew leaves our closest warehouse to you respectively (Newton, Woburn, or Easton), and the billable time ends upon their return to the same warehouse they departed from. Clients are not charged during any lunch break the crew may opt to take on move day. On a multiple day project, do I pay incrementally or upon completion? On local pack and moves, we do collect payment at the end of each day of work. The crew chief will total up the time and materials used and explain the charges for each day. All major credit cards, check, or cash are accepted. What items can I leave in drawers of dressers or file cabinets? In most solid dressers, you may leave the drawers full of clothes and linens. Exceptions to this may include less sturdy particle board dressers, or antiques in which the added weight of the clothes may further stress joints and dresser legs during handling. Also, please remove all jewelry, perfumes, or anything breakable from all drawers. Empty 2 drawer lateral file cabinets completely. 2 drawer vertical cabinets may remain full. Please empty the top 2 drawers of all 4 drawer vertical cabinets. Will you guys move everything including my liquor cabinet and paint, etc? We want to make your move as easy as possible, however there are some items we legally cannot transport for you. Typically, these will include flammables and contents under pressure such as aerosol cans or propane tanks, alcohol, paint, or any hazardous materials that may cause our trucks to catch fire or explode. While we can move cleaning detergents and bleach, our recommendation is to move these yourself or put these items in plastic garbage bags before packing in boxes. We would not want bleach to leak and compromise other items in your shipment. To that same end, please empty the grease traps in your grills. While we will move plants locally, please make sure they have not been recently watered as the dirty soiled water can leak on the floor of the truck and damage other items. While we are eager to help, please remain aware of the details above so we can all avoid potential issues. Please reference this page for a listing of items we cannot pack or move. What is the policy on tipping movers? You will see that our crews work extremely hard and while tipping is always appreciated, customary tipping policy varies. Clients often choose to tip their crew based on overall satisfaction or opt to buy the crew lunch and keep the fridge stocked with water and Gatorade. On average, $3-$5 per man per hour is what we normally see given. Meaning, a 3man crew for an 8 hour day would receive somewhere around $100 gratuity collectively. Tips can be added to your credit card and included on the final bill, however the tips are taxed when given in this manner. Cash, or a check made out directly to the crew is preferable. We will work toward eliminating your headaches on move day, regardless of whether you choose to tip at days end or not. While we’ve heard it all: phantom and subjective charges for heavy items, additional flights of stairs, “shuttling” items from one truck to another, we don’t do any of that. When you move with PbP, you can expect the final bill to reflect the total time multiplied by the hourly rate, a charge for fuel, and the disposable materials used to protect your items during the transition. That’s it. In unique cases, when we need to enlist crane’s, custom crate high value items, or coordinate services outside the scope of a typical move there are costs associated with these additional services. It is our policy to always present these charges up front, as well as all your options, and allow you to make an educated decision beforehand. My timeline is contracting, and I need to make the move happen quicker. How will that affect my budget? If you’ve lived in your home for some time and accumulated accordingly, we recommend dividing the move into digestible stages. 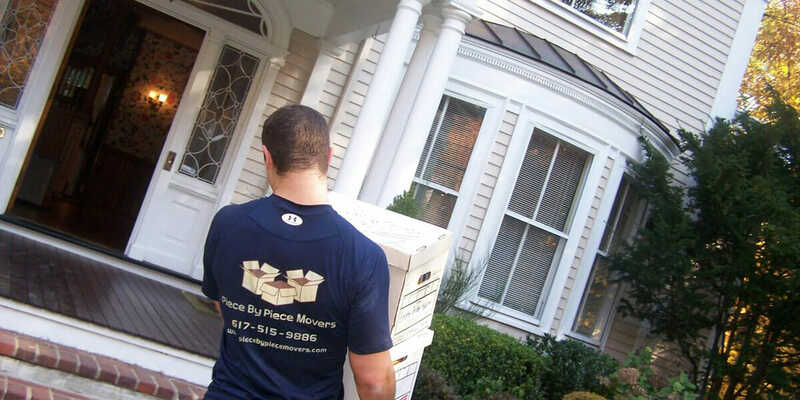 Most of our clients prefer this pace: we pack and prep furniture on one day, load up the next, and deliver after your closing on the following day. But if your project needs to happen fast, we can almost always comply. And because the cost of a move directly correlates to the overall time and manpower, if we send you double the men but the move takes half the time, your budget remains the same. What should I do if either my origin/destination address (or both) does not have a parking/loading zone that can accommodate a moving truck? In almost all such cases, we recommend pulling a permit(s) in Boston, Cambridge, or Brookline for all locations you’re moving both from and to. Having dedicated space for the truck, nearest to the access point where our men will be working, typically represents a significant time and cost savings over the course of the move. Different cities have different permitting guidelines, which is all our move coordinators are well-versed in. Many clients ask us to facilitate posting of permits directly, which is something we’re happy to do. If you are at all concerned about adequate and safe parking for a truck during your move, please reach out and we will educate you as to all your options. What is the difference between PBP storage and a self-storage facility? The primary consideration when deciding to store your items with us vs. self-storage should be “How often will I need to access my items while in storage?” If you are expecting to make regular trips to access your items, a traditional self-storage facility is likely a better fit. Beyond that, utilizing our storage facilities should save you money, effort, and provide peace of mind as explained below. How our storage saves you money: Based on volume, our storage costs should be competitive with other climate controlled, secure, and well maintained storage units. Moreover, you will save time and therefore money moving into our storage because we bring our storage units right to the truck so unloading and loading your storage takes far less time than delivering items to a self-storage facility with elevators and potential long walks which add billable time to the move in and move out. Why our storage is more efficient: Self storage units typically come in standard sizes 10’x10’, 10’x15’, 10’x20’ etc. Clients are left to try and figure out what size unit they may need, which you can only guess at. Often, people opt for larger units to play it safe and their items occupy only a portion of the unit’s usable space, while you are left paying for the whole unit nonetheless. Our 5’x7’x8’ storage vaults are smaller, meaning, you only pay for what you use. How our storage provides peace of mind: When stored at PBP, all your furniture remains inventoried, wrapped, and protected while in our storage as opposed to delivering to a self-storage facility where mover’s policy is to remove the furniture protection and leave the items “naked”. Not only does removing the protective padding take more time, but it leaves the furniture more susceptible to scratches and damage. On top of that, a movers liability ends when they deliver you to a self-storage unit, meaning, if you don’t inspect every piece as it goes into your self-storage unit, you forfeit your ability to submit a damage claim in the future. When items are stored at PBP facilities they remain in our care and custody and we accept liability throughout the entire process. Where will my items be stored? Currently we have two warehouses, 90 Blueberry Hill Road, Woburn MA, 01801, as well as 802 Washington Street, Easton MA, 02375. Both warehouses are under 24 hour security, climate controlled, and owned by us.